This dynamic role will contribute to increasing access to justice for Aboriginal victims/survivors of family violence and ensuring the voices of Aboriginal and Torres Strait Islander victims/survivors of family violence shape social, legal and system reform across Australia. Cultural Awareness training and ongoing support provided by our dedicated full-time Cultural Advisor. The National FVPLS Forum is a leading national voice on addressing family violence against Aboriginal and Torres Strait Islander people. Established in 2012, the National FVPLS Forum is the peak body for the 14 Family Violence Prevention Legal Services (FVPLSs) around Australia. FVPLSs provide specialist, culturally safe legal services and supports to Aboriginal and Torres Strait Islander victims/survivors of family violence and sexual assault, and work with families and communities to reduce violence. FVPLSs operate in 35 identified rural and remote locations across Australia. 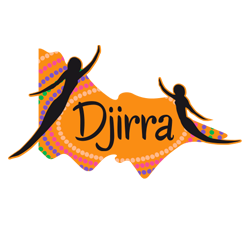 This position will be based at Djirra, an Aboriginal Community Controlled Organisation whose head office is located in Abbotsford, Melbourne, and will include travel. Please quote in application: Executive Officer, National FVPLS Forum Secretariat via Pro Bono Australia.